Yao Lu is a Licensed Acupuncturist in Alabama, USA, also a Licensed Acupuncturist in Canada, the director of Auricular Medicine Center. 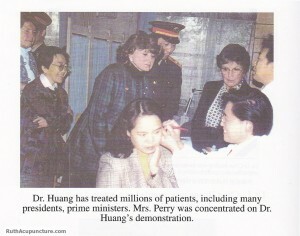 She graduated from Beijing Medical College, Beijing, China in 1987. She has worked in Department of Pathology in Great Wall Hospital in Beijing in the early years, and worked in Department of Medicine in McMaster University in Canada in 2000-2005. After that she moved to America and was apprenticed to her mother (Dr Li Chun Huang), a famous traditional Chinese medicine acupuncture doctor. She is a specialist in Chinese Acupuncture, Chinese herbal medicine, and Auricular Medicine, Chinese Cupping therapy, Chinese Acupressure, Chinese Reflexology, Chinese Mustibustion. In these years of practice, she has treated more than 5,000 patients, overcome with various conditions and diseases. She has received a great reputation among his patients with her great acupuncture skills of diagnosis and treatment. 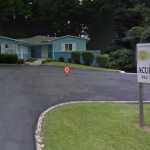 Welcome to Auricular Medicine Center community Acupuncture clinic, we offer traditional chinese auricular acupuncture medicine treatment services to help you promote your health naturally.